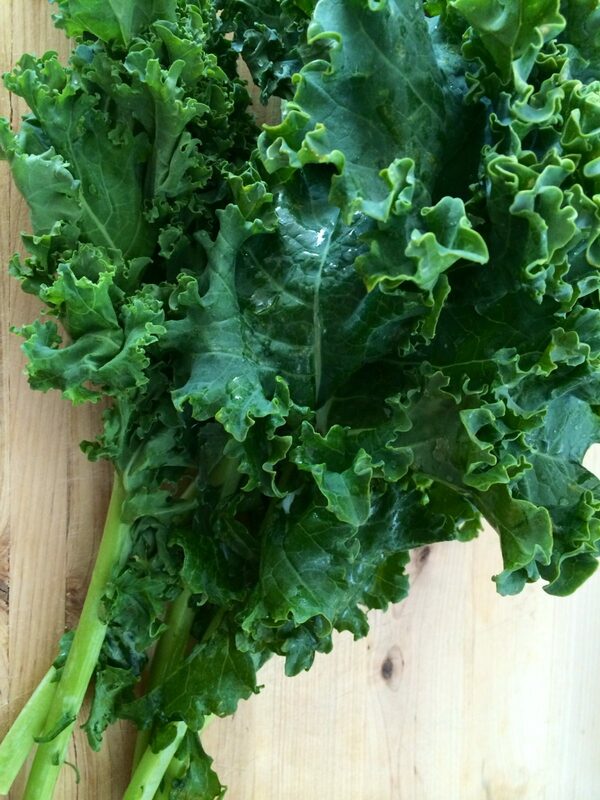 Kale, it’s popping up everywhere. It’s in salads, sandwiches and even smoothies. Call me crazy but, I have to admit, I’m not much of a fan of this trendy leaf. I’d rather take my smoothies with strawberries and bananas… But this leafy vegetable is filled with so many nutrients, I’ve been trying to find ways to make it more edible. After a Labor Day Weekend filled with too many Lobster Rolls, Triple 8 infused Blueberry Lemonades and one too many cookies from the Nantucket Bake Shop, it was time to get back on the wagon. 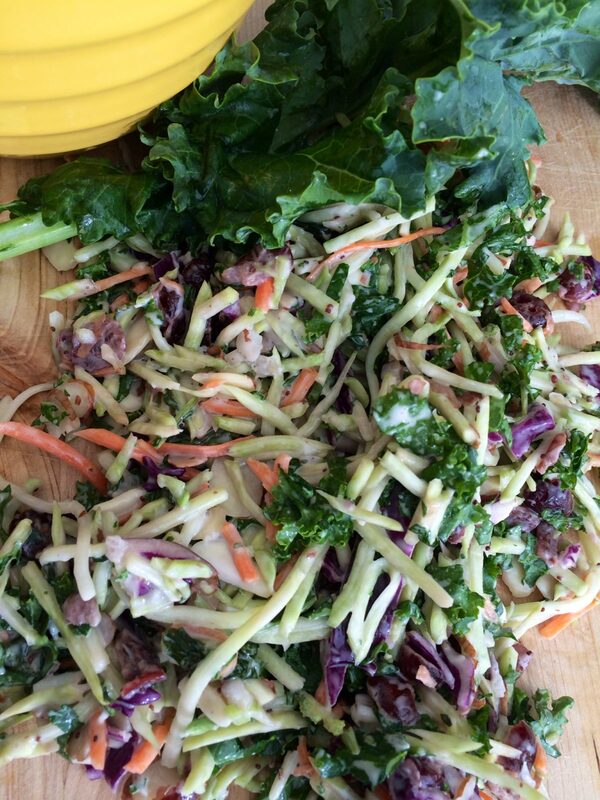 While combing the isles of the market I decided to make this Broccoli Slaw Salad with Chopped Kale. Now, as I said earlier Kale is definitely not my favorite vegetable but when it’s chopped up very fine and mixed with other items, it’s basically unnoticeable. Shredded broccoli, carrots, toasted almonds, sweet dried cranberries and finely chopped kale are tossed with a very light coat of homemade poppy seed dressing. I know, I know what you’re thinking… poppy seed dressing isn’t exactly healthy right? This may be slightly true but, since we are using such a little amount, I say the other healthy ingredients make up for it! This crisp and refreshing post Labor Day Weekend recipe is wonderful right now and can enjoyed during the upcoming football season as well! 1. In a small bowl combine all dressing ingredients. Whisk until combined. 2. 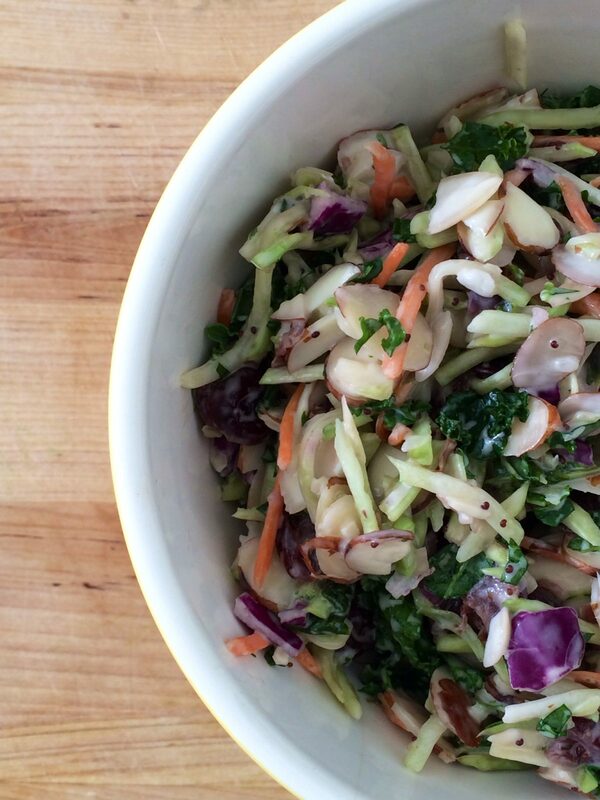 Pour broccoli slaw into a large bowl. Add chopped red onion, dried cranberries, almonds and kale. 3. 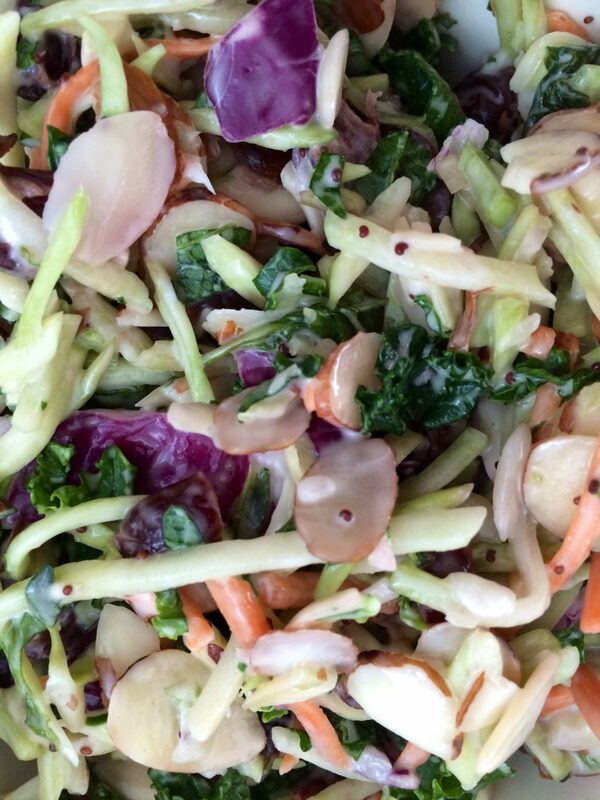 Pour 1/2 cup of dressing over broccoli slaw. 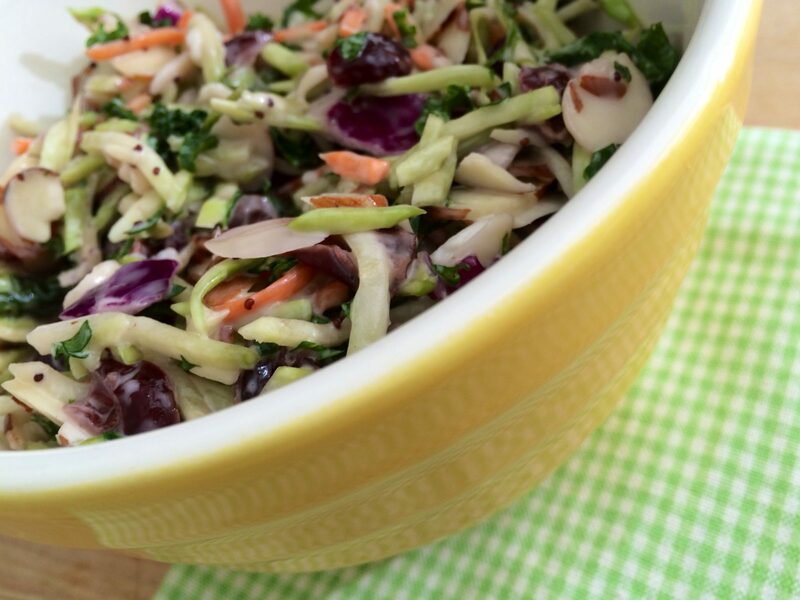 Toss slaw together to make sure it is well coated and add additional dressing as needed. Season with salt and pepper, to taste and mix well.